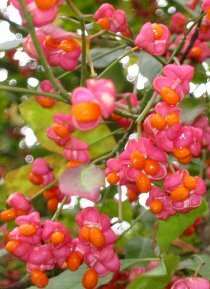 SPINDLE (Euonymus europaeus). Hedging Plants, Trees, Shrubs and Conifers. Masses of rose-red capsules with orange seeds in autumn.